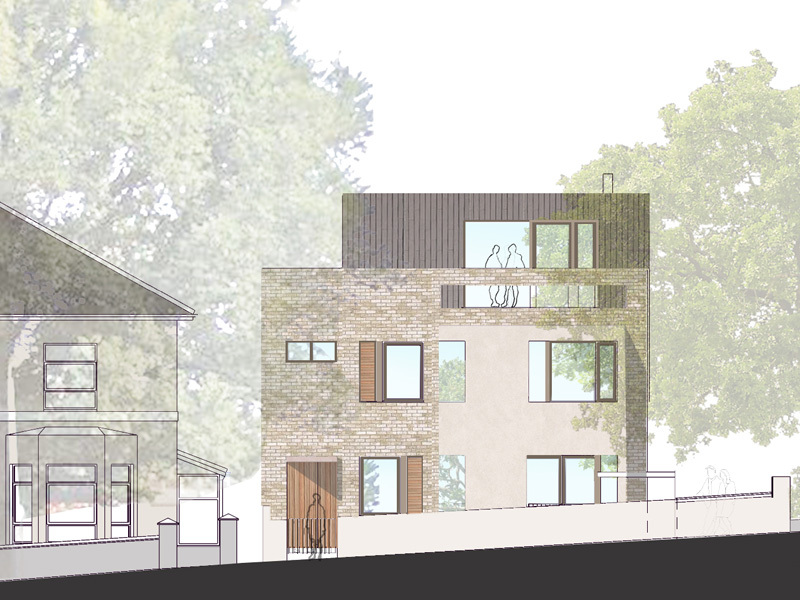 This new block of flats replaces an existing 2 storey 2 bedroom house. Five one and two bedroom flats have been created almost entirely on the footprint of the original house after extensive 3 D computer modelling. Quality materials quietly enhance the contemporary design. After three case officers, eleven months in planning, nearly seven months in appeal, we were finally granted consent. The Inspector upheld our contemporary design approach agreeing that it reflected the diverse nature and other examples of modern buildings, and agreed that there would be no detriment to the setting of the grade 2* listed church opposite.